The first issue counsel needs to confront is whether to use an interpreter at all. Often there is no choice; it is clear that the client simply cannot testify in English, or the other side's witness demands an interpreter. Sometimes, however, it is a close call. The witness may not be fluent but can understand and be understood. If there is a genuine dispute between the parties regarding the need for an interpreter, ultimately it is the province of the court to determine.2 More commonly, however, the decision is one of strategy. It is important to make a good decision early in the litigation, since it is difficult to change the approach at trial. A witness who testifies through an interpreter at deposition and then without an interpreter at trial, or vice versa, is likely to lose credibility. Sometimes counsel automatically insists on an interpreter for his or her client's deposition simply to play it safe or make things more cumbersome for the other side. However, that approach does not necessarily benefit the client. Counsel should consider various factors. Cost is one; interpreters add expense. In criminal cases, a court is required to appoint an interpreter when necessary for the defendant to communicate. There is no such requirement in civil cases.3 As a consequence, civil litigants must pay for their own interpreters. But strategic considerations almost always are more important than cost. A major consideration is the importance of the witness communicating directly with the judge or jury, weighed against the importance of the testimony sounding like what the jury expects. 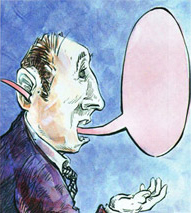 When a witness testifies through an interpreter, the time lag between the testimony and the interpretation often disconnects the emotions, gestures, and speech of the witness from the English interpretation. This can reduce the impact of the testimony. Furthermore, it is very difficult for an interpreter to convey the nuances of what the witness means or what the witness's state of mind is. Truly, much is lost in the translation. On the other hand, a witness who is not reasonably skilled in English probably will not be able to convey nuances or emotions without an interpreter. Moreover, jurors may be jarred by hearing a witness speak with a heavy accent, use unfamiliar idioms, or make errors in vocabulary and grammar, and may be frustrated by having to struggle to understand the witness. Another factor is whether the witness has been in the United States for a long time or regularly conducts business in English. It is counterproductive for a witness to be thought of as trying to hide behind the interpreter or taking advantage of the extra time that the interpretation takes in order to concoct answers. Similarly, if the witness uses English to speak with his or her attorney (such as in meetings or preparation sessions or at the deposition itself), using an interpreter to speak with opposing counsel in the deposition may make it appear that the witness is playing games. In this regard, counsel deposing a witness who is using an interpreter should ask the witness to testify about his or her use of English. Does the witness use English at home, in business meetings, and in conversations with counsel? This can be a way to undercut the credibility of a witness who uses an interpreter at the deposition. Although not determinative, some consideration should be given to the fact that using an interpreter at least doubles the time it takes to provide testimony, whether in deposition or at trial. Questions and answers are stated twice (once in each language), objections often are interpreted,4 issues of the accuracy of the interpretation invariably arise and take time, and more frequent breaks are necessary. This can be frustrating and expensive and substantively affect the case if there is a time limit on the witness's testimony. Judges sometimes do not understand how much extra time is needed for interpreted depositions and may not permit extra time if the other party objects to how long a deposition is taking. 1 The terms "interpreter" and " translator " often are used interchangeab1r. However, an interpreter is one who takes the meaning of oral statements (such as testimony) from one language to another, while a translator is one who takes the meaning of written statements (such as documents) from one language to another. See Evid. Code §751(a) (interpreter required to "make a true interpretation of the witness' answers") and §751(c) (translator required to "make a true translation ...of any writing"). 2 Hilbert v. Kundicoff, 204 Cal. 485 (1928). 3 See Jara v. Municipal Court, 21 Cal. 3d 181 (1978). 4 See Standards of Judicial Administration, Standard 2.11(a)(11).